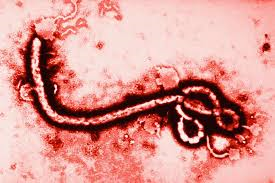 Medical Media Images Blog: The Ebola Virus: Is Airport Surveillance Effective? The Ebola Virus: Is Airport Surveillance Effective? Since the start of the largest, most deadly Ebola Virus outbreak in West Africa, the disease has killed over 800 people. While the great majority of the victims are from Guinea, Sierra Leone, and Liberia, Ebola has also claimed lives in Nigeria and Saudi Arabia. Ebola is on the move. 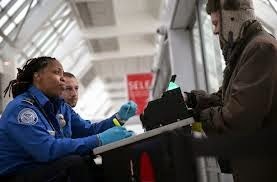 Airport Surveillance to screen for passengers who might be carrying the deadly disease is touted as a "close screening process" performed by "specially trained federal agents and airport workers". A spokeswoman for the federal Centers for Disease Control said health and airline officials at both customs stations and on board airliners are continuously tasked with identifying signs of illness in travelers, including now Ebola. So, can Airport Surveillance prevent the spread of Ebola? The short answer is a resounding "No". Here is why: Patients who are infected with Ebola do not show signs of the disease for 2-21 days. This is called the "incubation period". During this time, patients do not feel ill and are completely unaware that they are carriers of the deadly Virus. There is no screening method to identify them! Only once the symptoms start, could they be possibly identified. However, the early symptoms of the disease mimic those of the common flu. Mild fevers, chills, cough and diarrhea are very non-specific. Passengers may not appear ill and are not likely to report these mild symptoms to anyone. It is only in the late stage of the disease when it becomes obvious that a patient has Ebola. At that point they will shows signs of bleeding and shock. Aircraft are the ideal breeding ground for the transmission of the Ebola Virus. Secretions from coughing and sneezing either come into direct contact with other passengers or surfaces which are touched by others. The Ebola Virus can also survive on these surfaces for 1-2 days, making it possible to be infected much later. Aircraft cabins are barely cleaned between flights, which makes this form of transmission even more likely. It is conceivable that dozens of passengers and crew can be infected on a single transcontinental flight. Airport Surveillance at the site of the origin of flight is actually more important than that at U.S. Airports. However, flights originating in Africa are unlikely to have trained staff or the means to carry out an effective Surveillance campaign. As these flights connect through Europa or Asia on their way to the U.S., it is essentially too late for Surveillance. Airport Surveillance cannot prevent the spread of Ebola, however it can potentially identify those who are clearly sick from the disease. At that point, all passengers on the airplane would have to be quarantined immediately. While some U.S. airports have quarantine stations, they are unable to handle larger volumes and cannot hold passengers for longer periods of time. A passenger would have to be quarantined for a minimum of 3 weeks before there is any certainty that they are not effective. Airport Surveillance against Ebola has more usefulness to raise awareness of the disease and serves to reassure the public that "something" is being done. However, it has very little usefulness to actually prevent the spread of the disease. At this point, Ebola has the potential to become a pandemic, affecting every continent and major cities around the planet. We need far more effective strategies than Airport Surveillance to even begin to lower the risks to our society.